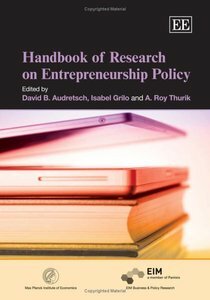 This unique Handbook provides a solid foundation for essential study in the nascent field of entrepreneurship policy research. This foundation is initially developed via the exploration of two significant propositions underpinning the nature of entrepreneurship policy research. The first is that entrepreneurship has emerged as a bona fide focus of public policy, particularly with respect to economic growth and employment creation. The second is that neither scholars nor policy makers are presently equipped to understand the public policy role for entrepreneurship. The contributors - experienced scholars, specialist researchers and dynamic policy makers thus grapple with novel questions of considerable policy relevance that few have previously posed. The Handbook therefore provides some of the first crucial, systematic analyses of important issues, and key questions to be raised in order to move entrepreneurship policy forward are also presented. 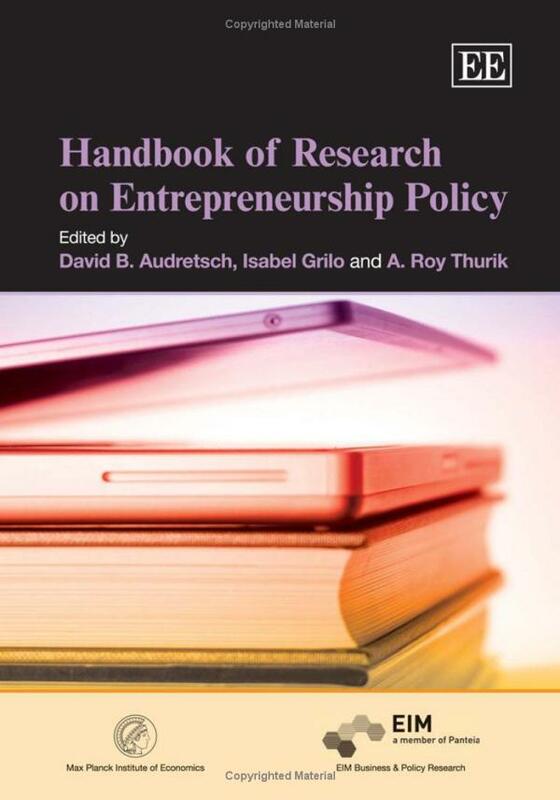 Written by academics and practitioners drawing examples from both North America and Europe, this stimulating new Handbook is a prerequisite for students, scholars and practitioners in the incipient world of entrepreneurship policy.